Flotillins, which are proteins that localize to specific microdomains or lipid rafts in the plasma membrane, mediate a clathrin-independent endocytosis pathway that is regulated by the Src family tyrosine kinase Fyn , . Flotillins are detergent insoluble and named for the fact that they float in sucrose density gradients (reviewed in ). The flotillin family comprises flotillin 1 and flotillin 2 proteins, which are highly homologous (sharing 50% sequence identity). 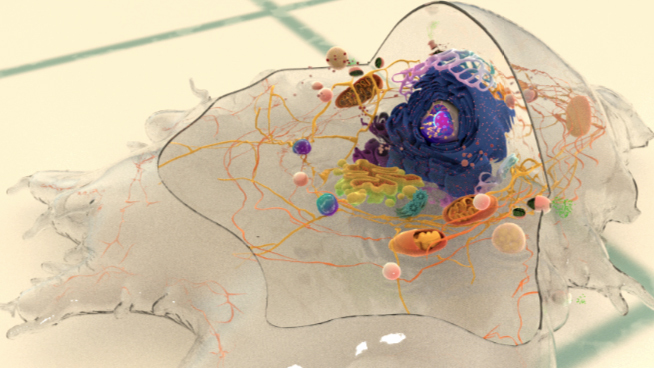 They assemble in almost equal amounts at the plasma membrane creating microdomains that bud into the cell , . GPI-anchor protein CD59, cholera toxinB subunit (CTxB) are examples of cargo endocytosed via this route , . 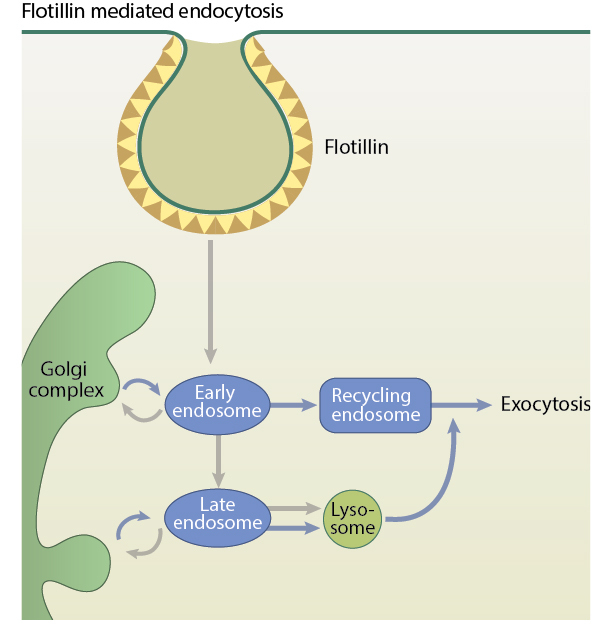 Flotillin-associated endocytosis is either dependent or independent of dynamin depending on the cell type or the cargo endocytosed. Flotillins may also serve as adaptors for other endocytic pathways (reviewed in ). Flotillins interact with cortical cytoskeleton and regulates it through association with myosin IIA and this has been shown to control the formation of plasma membrane protrusions at the rear end of motile leukocytes, called uropods .